Are you a NOAAPort, EMWIN or NWWS Subscriber? Registration Deadline Extended! "I see skies of blue and clouds of white / the bright sacred day, the dark blessed night / And I think to myself, what a wonderful world"*…of weather. Has there ever been a better time to be an operational meteorologist than now? Just consider the data available. We’ve got some wonderful tools. I can do full radar analysis using a $9.99 weather app. True, I did pay hundreds of dollars for my smartphone with monthly data fees that are higher than the cost of filling my gasoline tank, but that’s still amazing to me. That smartphone gives me weather alerts. It knows where I am, even though I sometimes don’t know where it is. I can pull up five-minute GOES imagery and see the cumulus towers that are casting a shadow over my subdivision, and I can see the cirrus arriving from the west to give me a halo. And who doesn't want a halo? Long-range models let me know if I should consider rescheduling a road trip in two weeks. High resolution short-term models let me know if my work day or day off will be smooth or rough. What about social media? Crowd-sourcing gives verification to forecasts, and people capture phenomena on camera that helps us understand and admire the atmosphere. Okay, sure, there are those posts of long-range model output snapshots that panic the public, but I’d like to think the good of social media outweighs the bad, regarding weather. Stop and appreciate all the tools, data, and models available to us. 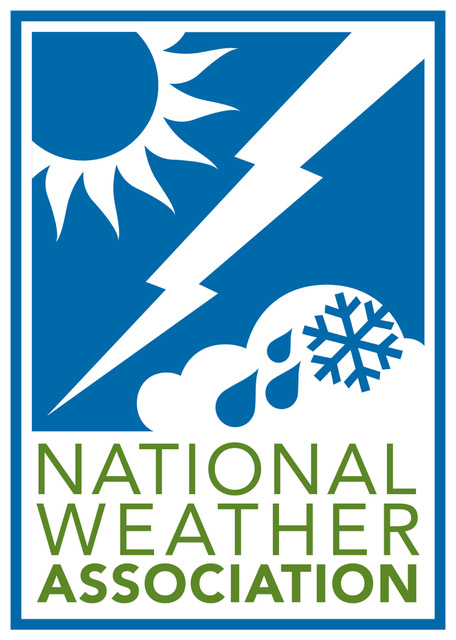 Give thanks to the institutions and educators who gave us our foundations, mentors who gave us direction, researchers, modelers, computer scientists, and engineers who provide the software and hardware, social scientists who help us communicate, and organizations that support the mission of operational meteorology—just like the NWA. *Maybe Louis Armstrong was an aspiring meteorologist? He might have checked our NWA Annual Meeting Preliminary Agenda online to see what wonders he could find. Congratulations are in order for two broadcast meteorologists, both named Lauren, who have earned the NWA Weathercaster Seal of Approval! 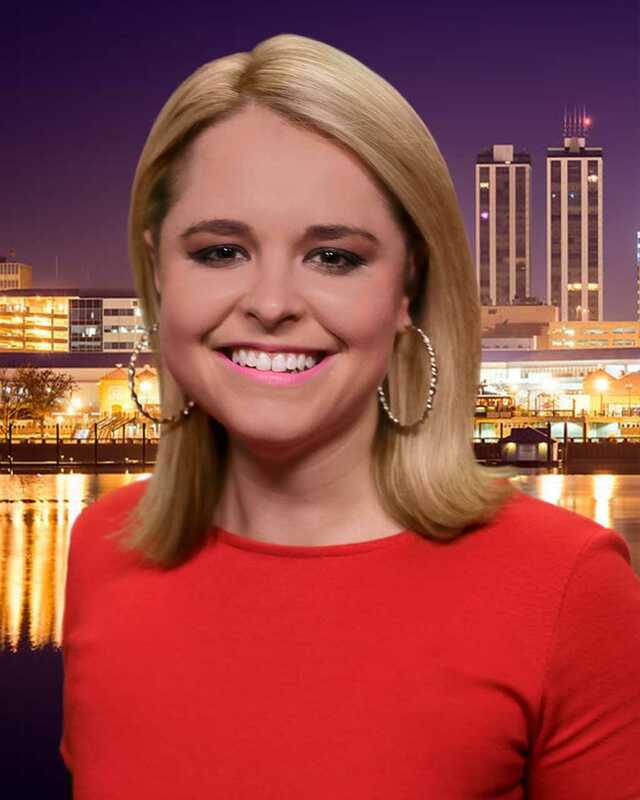 The first is Lauren Rainson from WMBD in Peoria, Illinois. She has been the morning and noon meteorologist for the station since 2014. A native of central Illinois, she studied broadcast meteorology at Eastern Illinois University and completed the master’s program at Mississippi State University. While studying at MSU, Lauren participated in the Great Plains Storm Chase in 2016. In her spare time, you can find Lauren hanging out with her St. Bernard, Ella. 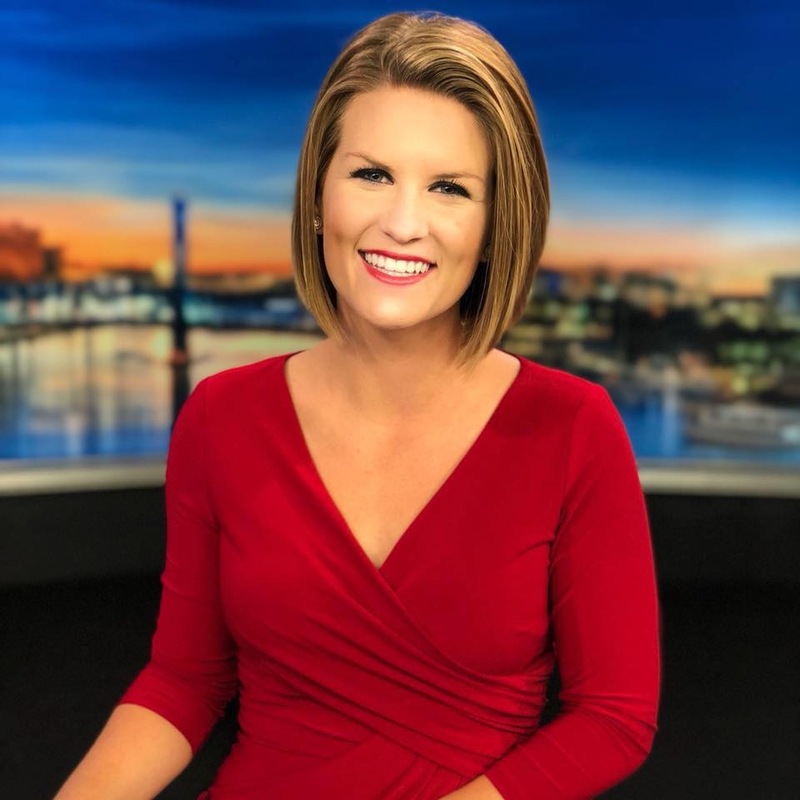 Next, we have Lauren Rautenkranz at First Coast News in Jacksonville, Florida. She is currently the evening weekend meteorologist and is a native of South Florida. Her first interest in weather started at a young age when she experienced a hurricane. “I knew I wanted to make a difference in my community like the meteorologists on TV,” says Lauren. She studied telecommunications and meteorology at the University of Florida (Go Gators!). Lauren also has her master’s degree in applied meteorology from Mississippi State University. Lauren says she wanted to become a meteorologist because it combines her love of science and storytelling. Now she has a shiny new seal to be proud of as well. Congrats again to our newest seal holders! One of last year's Sol Hirsch Education Fund Grant winners, the Cascade School District (SD) in Cascade, Idaho, reports that their weather station has been up and running since late last fall "Thank you so much for this funding," says Leslie Freeman of Cascade SD. "The weather station is up high on a pole to prevent vandalism and we have a lot of issues with snow management so we wanted it elevated." The monitor display is in a hallway outside of the science teacher's classroom so it is accessible to all K-12 classes. In particular, the 8th graders have used it regularly to investigate current vs historical temperature trends. Congratulations to the Cascade SD on their award and thank you for giving us an update. Students monitoring the weather station display. Three articles have been published in the NWA’s JOM since last month. JOM 2018-4 (Article): Applications of the 16 Spectral Bands on the Advanced Baseline Imager (ABI), by Timothy J. Schmit, Scott S. Lindstrom, Jordan J. Gerth, and Mathew M. Gunshor. JOM 2018-5 (Article): Development and Testing of a Decision Tree for the Forecasting of Sea Fog Along the Georgia and South Carolina Coast, by Bernhard Lee Lindner, Peter J. Mohlin, A. Clayton Caulder, and Aaron Neuhauser. JOM 2018-6 (Article): Using the Multisensor Advected Layered Precipitable Water Product in the Operational Forecast Environment, by Christopher M. Gitro, Michael L. Jurewicz, Sr., Sheldon J. Kusselson, John M. Forsythe, Stanley Q. Kidder, Edward J. Szoke, Daniel Bikos, Andrew S. Jones, Chad M. Gravelle, and Christopher Grassotti. My aims here are to (1) bring attention to the ways in which subtle social biases manifest so that meteorological professionals may be more cognizant of them; and (2) present strategies (speaking from my own experiences) for combating biases so that professionals may, in turn, be enabled to reach greater levels of acceptance for those who are different from themselves. Research has consistently shown that people tend to treat as less those who are different from themselves, whether these individuals are physically or mentally different or disabled. Why is this? The answer lies in attitudes and the formation of stereotypes. Attitudes are evaluations of places, people, and things, whereas stereotypes are widely held beliefs that most members of a group possess a particular characteristic. Attitudes and stereotypes may be implicit or explicit. We are not consciously aware of or have only limited access to implicit attitudes and stereotypes, but we are conscious of and can control explicit attitudes and stereotypes. Bias, meanwhile, is a prejudicial and directed manifestation of a negative attitude (whether emotionally, behaviorally, or cognitively) or stereotyped belief. There is some controversy over the purported existence of implicit forms of these variables, and reasonably so—how can we claim the existence of attitudes and beliefs for which we have no, or only little, awareness? Psychologists use such tools as the Implicit Association Test (IAT1) to measure this construct. One demonstration of potential bias lies in findings from a study I conducted2 on social perceptions of people with autism spectrum conditions. My results suggest that people who regularly interact with autistic people are more cognitively accepting of them, while people who are made aware of the condition only tend to behave more positively towards autistic people while interacting. The implication is that, without regular interaction, people only become more behaviorally positive while still perhaps thinking poorly of the autistic individual. I have seen this finding borne out in the real world not only in aspects of daily life, but also at NWA and AMS annual meetings, and not only confined to autism. It has affected not only me, as an autistic person, but also my friends and colleagues in the weather enterprise who have their own individual differences and disabilities. An important first step in combating bias is to recognize it. Perspective-taking (cognitive empathy) is key. It is important to consider that each person is uniquely different with her or his own life experiences, and to remember that what may be easy for one person might be challenging for another. Humility and a willingness to confront oneself and make oneself uncomfortable are also crucial. We must be willing to humble ourselves and confront potential discomfort believing that our views are not superior to others’ nor set in stone; that yes, we have indeed felt a certain way towards a certain person or particular group. In doing so, we must acknowledge that negative viewpoints can change if we want them to and work to change them. Finally, we must consider our response to the other person (affective empathy). Is it appropriate? Is it kind? Is it conducive to that person’s well being? What is it that we dislike, or think we dislike, in the other person, and how can we change our perception of him or her? These are but a few strategies I present for consideration. I hope this information is informative and helps to de-stigmatize individual differences within the meteorological community. 1 See https://implicit.harvard.edu/implicit/education.html to learn more. The High Plains AMS/NWA Chapter held face-to-face meeting at the Norton Library on Tuesday, May 15, at 1130 a.m. with 14 chapter members. There was a unanimous vote to transfer extra money from the general fund into the Jim Johnson Scholarship fund so it won’t run out of money within the next couple of years. An update to the 20th High Plains Conference in Hastings, Nebraska, was then discussed. Keynote speakers are expected to be Jeff Piotrowski (storm chaser), Jared Guyer (SPC), and Mark Roberson (University of Nebraska in Lincoln). Instead of a fourth keynote speaker, there is a plan to have a panel of guests consisting of TV meteorologists, emergency managers, NWS warning coordination meteorologists, superintendents, and someone from NWS Central Region. Dates for the conference will be August 7–9 with a severe weather workshop on the night of August 7. The conference room at the Wilson Center has been booked and hotel rooms have been blocked off at the Holiday Inn Express and Comfort Inn in Hastings. The Hastings office is still looking for people to present at the conference. If you are interested in presenting, please submit abstracts as soon as possible. The registration fee for attending the conference will once again be $75 with $25 for the banquet Wednesday night. College students who attend will have their conference fee waived if they present, and will pay half the fee if they will only attend. Go to the website for more information. Shawn Jacobs then gave a presentation on what he has done as an Incident Meteorologist (IMET) for the NWS in North Platte, Nebraska. His presentation described what it takes to be an IMET and what they do, where he has been deployed, and how many days he is usually deployed for each event. After the presentation, the meeting ended around 12:40 p.m. The next High Plains Chapter meeting is expected to be in a couple of months. 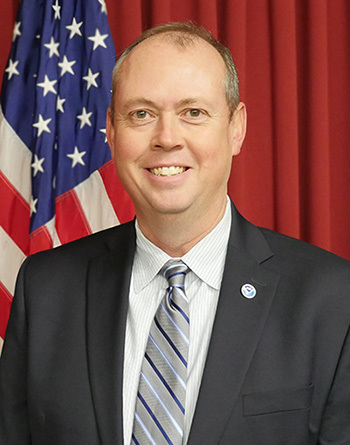 Ken Graham became the 11th director of the NOAA National Hurricane Center in Miami, Florida, in April. He received his Bachelor of Science in atmospheric science at the University of Arizona, and earned a Master of Science in geosciences from Mississippi State University. While in Mississippi, he was a broadcast meteorologist for a CBS affiliate and was an agricultural meteorologist for the Mississippi Radio Network. Ken began his career with NOAA in 1994 as an Intern at the NWS office in New Orleans. He went on to hold two positions at the agency’s Southern Region Headquarters in Fort Worth, Texas: the Marine and Public Program Manager during the NWS Modernization in the early 1990s, and later as the Systems Operations Chief. He was also the Meteorologist-in-Charge (MIC) at three forecast offices including Corpus Christi, Birmingham, and New Orleans/Baton Rouge. Under his guidance as MIC, each of his offices received numerous national awards and medals. He spent some time at NWS Headquarters in Washington D.C. as the Chief of Meteorological Services where he worked closely with partners to improve services and briefed congressional committees. Ken also received the 2010 National Weather Museum’s Weather Hero Award. As the 2018 hurricane season is getting underway, the Diversity Committee thought it would be a great time to get to know the new Director of the National Hurricane Center. How many years have you been an NWA member? What prompted you to join the NWA and to stay a member for so many years? I joined the NWA in 1992 as an opportunity to go with classmates to attend annual meetings and to meet operational meteorologists from across the United States. While at the meetings I especially enjoyed the reviews of big events, and getting together with other meteorologists to learn and share research. For me it was the earliest exposure to so many meteorologists in one place. As the new Director for the Hurricane Center, what made you decide to apply for this position? What has been the most exciting part thus far? What has been the most challenging or unexpected? What do you hope to accomplish over the next few years? I have always wanted to be a meteorologist since I was 7 years old. I was living in southern Arizona, and my family and I were forced to evacuate due to rainfall and the threat of rising rivers. Instead of the 6 inches of precipitation our area expects during a year, we experienced this over a few days. This got me interested at a young age in tropical meteorology. It was very exciting working in New Orleans for almost 10 years, as the big focus is on hurricanes. Working with emergency managers seemed like a natural fit for me. The most exciting part of the new job is working in a building full of the best tropical scientists. I get to work side-by-side, with the most amazing, dedicated people in the world. The most challenging aspect so far has been juggling travel time with home time. The International component has been hard, but not unexpected. At the same time it is exciting and important. The Caribbean tour with the Hurricane Hunters was an incredible experience. This is so different than working in a WFO. I also enjoy chairing the WMO Committee, as well as getting to be part of retiring hurricane names and voting on new names. Over the next few years I expect the science to continue to grow, and hope to do more with social science in the aspect of explaining and warning for storm surge (shapes, colors, words, etc.). I expect Social Science to continue to make a positive impact across the NWS in helping the public to better understand the meaning of the message. You have always said that people are our best assets. It seems that diversity within the federal government has not grown as rapidly as other scientific and non-scientific fields. How can NOAA/NWS increase the diversity of our workforce? There is always room to grow. People are your greatest asset, and I never look at myself as the one in charge. Instead I feel like my job is to support everyone in the office. I work for the staff to help them reach their goals. You can’t sit back and let something happen, you have to go get it. You have to actively recruit at an early age in order to make sure as an agency we get a solid pool of candidates across all NOAA disciplines (scientists, IT, engineering, biology, marine science, etc.) This means current people in the agency need to go to schools and get students involved. Students need to meet us and shadow us. They need to apply for volunteer positions, internships, and to be part of the Pathways Program. Current employees need to take their passion and show the students; expose them to our mission. Over time, this will build a strong and diverse workforce. With a need to understand your audience, how do you best prepare your staff to adequately communicate the center’s messages when dealing with a potential landfalling tropical system? Science is getting a lot better, and my staff has lots of discussions in the operations area around impacts. For example, I like to stress, “The forecast is a good forecast, and here is your cone, but just a few hundred miles away you can have devastating flooding rains and storm surge.” Little wiggles in the track matter. NHC forecasters also need to find the best way to communicate with people who live along the coast that a 20 or 30 mile difference in landfall location can make a huge difference in the weather they experience. People have to understand that just because this storm didn’t happen to them, that doesn’t mean it can’t happen in the next storm. We have lots of discussions on the subtleties of impacts on the ground. With the guidance from social scientists, we are experimenting with new graphics that discuss the key messages pertaining to impacts. More talk about impacts is still needed. The more we can get the public to understand, the safer it will be. Also, the WFOs know every nook and cranny of their forecast areas, and NHC has to work with them as the area experts. We at NHC also have to listen to the emergency managers, and partner with other federal agencies such as Weather Prediction Center, Storm Prediction Center, and FEMA to communicate impacts. 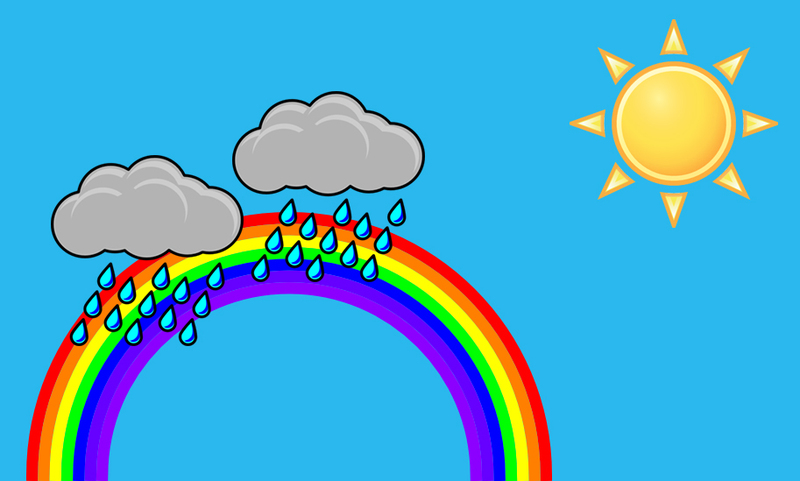 What is the best piece of advice that you have been given in your career, and if you could pass along one piece of advice to meteorologists/hydrologists just starting their careers, what would it be? It’s all about the kids! When I go to my eldest daughter’s band concert, the pride is off the chart. When I am sitting at my twins’ softball tournament, I am just so proud. My hobbies and fun circle around the family. Having this new job has opened up a whole new place to explore. I look forward to practices, games, and concerts. Any time I can spend with the kids is a good time and fun time. My family also has a rescue dog, Buddy. Before we got him, Buddy was abused by his three previous owners. The last family was trying to sell me on the dog, and I kept saying no, until I met Buddy. That is when Buddy stole my heart. The Diversity Committee would like to thank Ken for taking the time to talk with us. We look forward to seeing how NHC evolves over the next few years. This is an update to the NOAAPort article that ran in the June Newsletter. The FCC International Bureau has provided a 90-day extension to the filing window for receive-only earth stations operating in the 3.7 to 4.2 GHz band. Applications must now be filed by October 17, 2018 (instead of July 18 as reported last month). The NWA has learned that this could also impact those using NOAA Weather Wire Service (NWWS) and EMWIN. The NWS Public Information Statement (PNS18-16) has more information. The FCC has announced that “Expanding Flexible Use of the 3.7 to 4.2 GHz Band” is tentatively on the agenda for the July 12, 2018, Open Commission Meeting. They will consider an Order and Notice of Proposed Rulemaking. Here are COMET’s newest publications on MetEd. Things have been hot around here, and not just the weather, in the past three months, COMET published eight new lessons on a variety of topics such as satellites, hydrology, and EPS guidance. The “other” category includes a Forecasters' Overview of the Middle East, and a lesson on Radio Wave Propagation. We also published four new lessons in Spanish on topics of instrumentation, satellites and NWP. 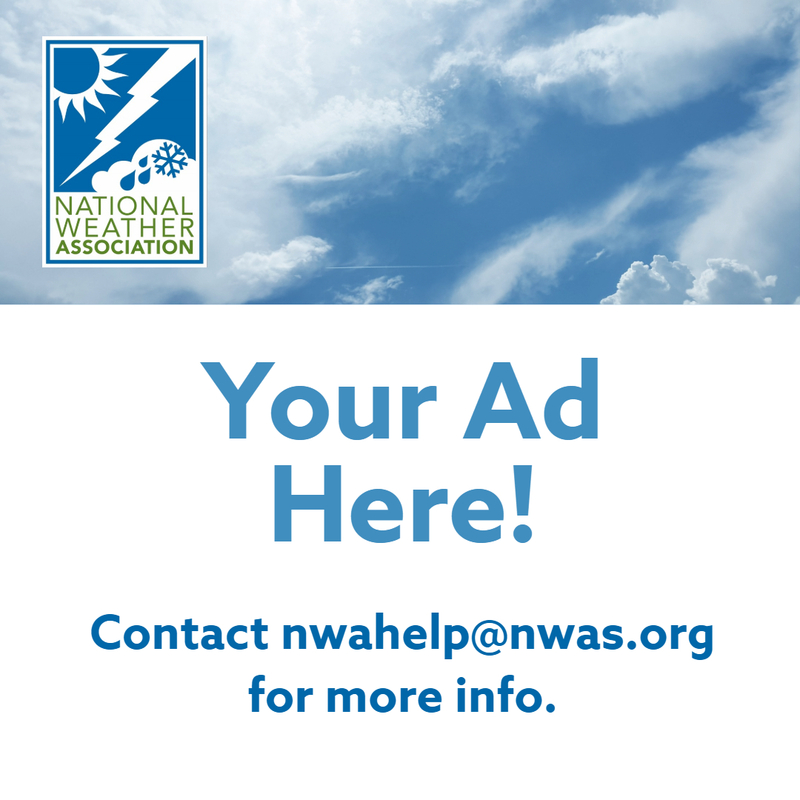 Currently, these materials are freely available to everyone, courtesy of our primary sponsors: NOAA's NWS, NESDIS and National Ocean Service programs, EUMETSAT, the Naval Meteorology and Oceanography Command, the Meteorological Service of Canada, Bureau of Meteorology, the U.S. Army Corps of Engineers, and the Department of the Interior Bureau of Reclamation. August 10 there will be a NWA Baseball Outing at the Oklahoma City Dodgers at the Chickasaw Bricktown Ballpark in downtown Oklahoma City. With every ticket sold, $5 will be donated to the National Weather Association Foundation Scholarship Fund. NWA's July Webinar was held Wednesday July 11 and is titled "A New Era in Monitoring the Earth's Atmosphere, Land and Ocean Surface from Geostationary Satellite with the GOES-R Series". Speakers are Bob Rabin and Michael Folmer. Click here to watch it. To see previous webinars go here. The David Freeman NWA Past President's Fund was established to help students attend the National Weather Association Annual meetings. Dave has been involved with the NWA for more than two decades and has served on its board for most of those years. He served as the 41st President of the NWA is 2016. This fund honors Dave's work to establish the Foundation and all the past presidents of the NWA. The fund will offset travel costs up to $1,000, including airfare/transportation and hotel expenses for students. Registration fees will also be covered by the NWA for the recipients. The hotel block is open until August 3 or sell-out. If you need to make changes in your reservation, especially to remove nights, do so well before August 3. This opens up nights for others. If a lot of people drop nights from their reservation after August 3, it could bring the room block below minimum requirements that result in financial penalties to the NWA. Early bird registration ends July 17. Preliminary agenda can be seen here. We look forward to seeing you in August! Find more Annual Meeting information here.